If you really want to impress people with your Christmas cookie game this year, then step it up with these cool three-dimensional cookie cutters. 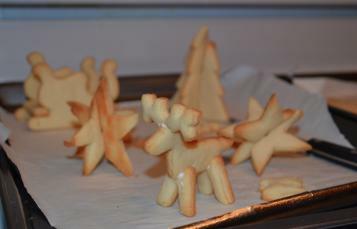 Just cut out all of the assorted cookie parts and then assemble with a bit of icing to hold everything together. The set includes reindeer, Santa’s sleigh, a Christmas tree, a star and a snowflake.